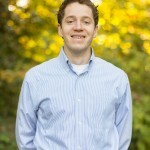 Guest post by Zach Buckner, CEO & Co-founder, Relay Foods. The views expressed here are solely those of the authors and do not reflect the views of Food+Tech Connect. No one wants the future of dining to be a frankenfood nightmare in which everyone drinks soy-based goop or swallows a flavorless meal replacement pill three times a day. A future that looks something like today, with too many fast-food meals and too many unhealthy kids, is also far from desirable. While there may be some futuristic solutions changing food itself, many of the food values and trends currently embraced look towards the past – how to reclaim time for family dinner at home; how to rebuild communities and real relationships with the people who make our food; how to cook whole ingredients with the thriftiness and resourcefulness of our grandmothers; even how to eat like our long-lost ancestors. So what’s stopping us? Why can’t we effortlessly put down the Big Mac and pull the family together for a home-cooked meal like grandma used to make? There are two main hurdles: first, a lack of time, and second, an education/information gap. Since founding my company, Relay Foods, five years ago, I’ve been optimistic about the ability of technology to address both problems, and I believe we’re finding real solutions. First, time. With ever-increasing demands at work and complicated family schedules, time is a constraint for all of us. Since I’m an engineer, I approach this constraint from the perspective of a system – how can building efficiency throughout the food system help everyone get more value out of their limited time and spend less time doing what they don’t value or aren’t good at? For example, a well-known local, organic farmer, Lee, who partners with Relay Foods, has been attending all of the city farmers’ markets in our area for years. While she’s still a regular at the big Saturday market, her sales with our company have grown to the point that she no longer has to attend the weekday market in town. She recently told us that because of the time she saves by selling produce through our website, she and her husband are able to take a break from non-stop work to have a real family dinner at home together with their kids each week. They are also able to focus some of their saved time on cultivating more incredible crops. To me, this is a dream outcome. Lee is able to continue cultivating local relationships at the market on her terms, but she’s not forced to spend extra days at the market when her time would be better spent growing food or being with her family. Selling through Relay also gives her a fair return, allows her to continue selling to the same local customers she would have seen at the weekday market, and even allows her to expand her brand to other markets she would not reach otherwise. The same is true for the eater who shops online – he or she can and should forge relationships with local growers at the market. Yet because Relay values complete food transparency, it’s possible for the shopper to skip the market some weeks while still supporting the same local growers she’s fond of. Taking back time from other tasks – be it waiting in traffic to get to the store or pushing a cart through the aisles or even going to the farmers market on a busy weekend – allows an online shopper like Kristie to spend more time doing what she values, whether that’s cooking elaborate meals, or simply getting a healthy, quick meal on the table. The other considerable hurdle dividing many of today’s would-be home-cooks from their mothers’ or grandmothers’ culinary expertise is information and education. For many, having a sense of what to eat, what’s in season, what to do with a whole fish or a raw radish, how to follow the doctor’s recommendations, or how to shop for groceries for the whole week, is a daunting challenge. Whether it’s following a gluten-free diet or planning meals for the week, technology’s innate ability to educate and connect the like-minded is incredibly powerful. For those who don’t know how to cook, simple recipes linked to a basket full of groceries make an empowering start. For those who might need to change their diet due to health concerns, an online market can have custom “aisles” (sodium-free, gluten-free, paleo) that a bricks-and-mortar store could only dream of. Similarly, creating means for home cooks to share their shopping lists, recipes, meal plans, and even the meals they make with one another, will take us all closer to a time when community potluck suppers were the norm. 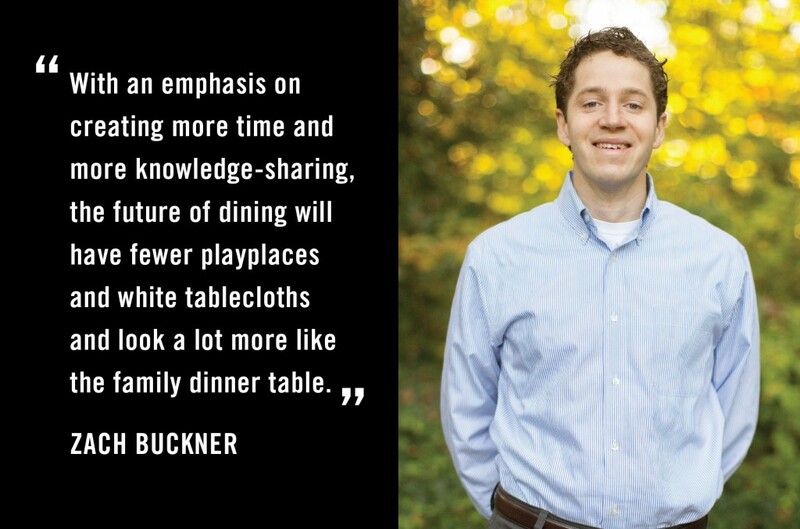 With an emphasis on creating more time and more knowledge-sharing, the future of dining will have fewer playplaces and white tablecloths and look a lot more like the family dinner table. Zach Buckner is the CEO and Co-Founder of Relay Foods. 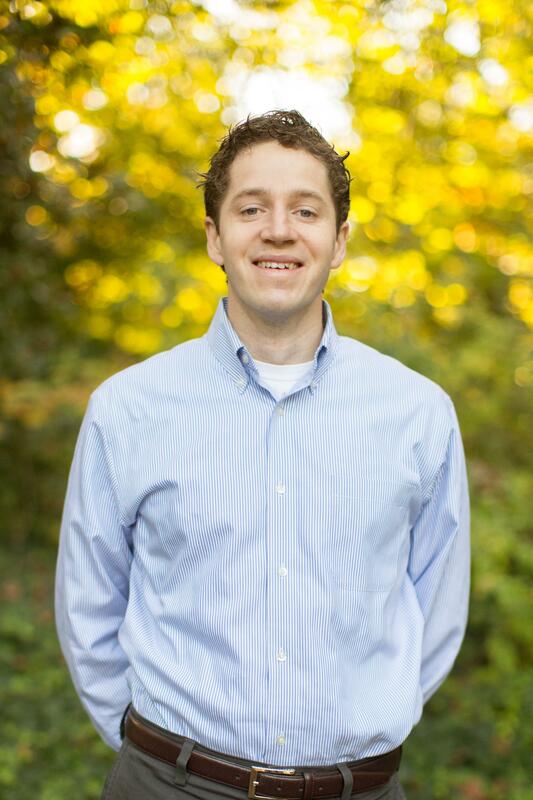 Zach was previously Vice President of Technology at Elder Research, the nation’s largest data mining consultancy. He participates in numerous leading fora and groups focused on entrepreneurship, data management, and technology innovation. He holds undergraduate and graduate electrical engineering degrees from the University of Virginia.